The most loved sparkling by Terre di San Venanzio, the Valdobbiadene Docg Brut 2017 was awarded on July 6th with the absolute prize “Gran Fascetta D’Oro”by the he enologic competition Fascetta d’Oro, the only award dedicated exclusively to Conegliano Valdobbiadene Prosecco Docg. The Valdobbiadene Brut was celebrated as The best wine of the Conegliano Valdobbiadene area, among 167 competitors, representing 61 wine cellars. The Cartizze Brut remained on the podium, gaining the Gold medal in the category “sparkling wines”, in the wake of the row of awards of last year: Gran Fascetta d’Oro 2017, “Best Charmat Method” of Veneto, “Corona” award by Vinibuoni d’Italia. 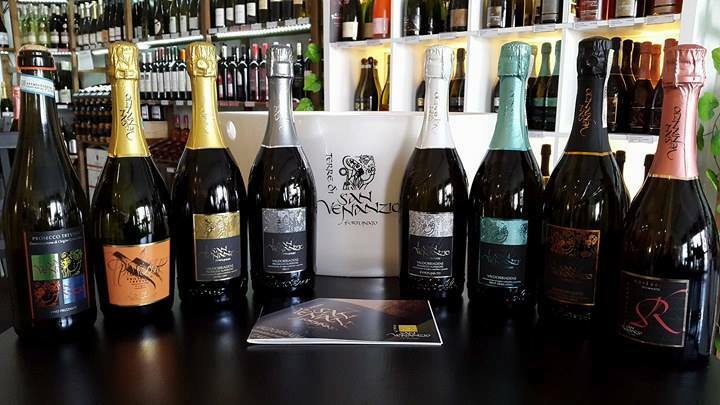 This year the sparkling wines by Terre di San Venanzio have already been awarded with four gold medals (Concours Mondial de Bruxelles, Sélections Mondiales des Vins Canada, Los Angeles International Wine Competition ), one Best of Class award (Los Angeles International Wine Spirits Competition), and honoured by the score “3 hearts” by the Swiss magazin Merum, and the scores 91 points and 90 points by 5 Star Wines – The Book Vinitaly 2018. The cellar team is excited about this third nomination . – We feel as if a blessing Saint is telling us: “Well done, That’s the right way”. We are honoured to receive this award, which proves our pursue of quality and repays all our team, guided by the oenologist Luca Antiga. Prev What causes wine intolerance? Are you allergic to wine?